Paleo Pumpkin Pie Dessert Nachos are sweet cinnamon pie crust chips that are dipped into a creamy pumpkin pie dip. The dip is topped with caramel sauce and whipped cream, or coconut cream. These were easier to make than they look, so don’t be intimidated. A fun, fall inspired treat that looks very impressive, and tastes like pumpkin pie. 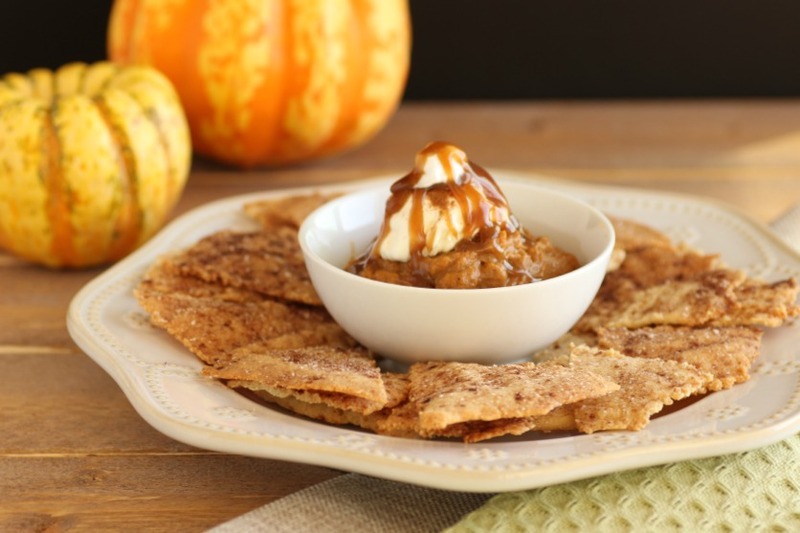 My family loved dipping the cinnamon pie crust chips into the pumpkin pie caramel dip. Don’t you love an ooey, gooey, creamy dessert that is also a finger food? No double dipping, please, lol. If you portion it separately, then you can double dip to your heart’s content. Also remember to dip gently, as these are actually pie crust and can break if you dip with gusto. 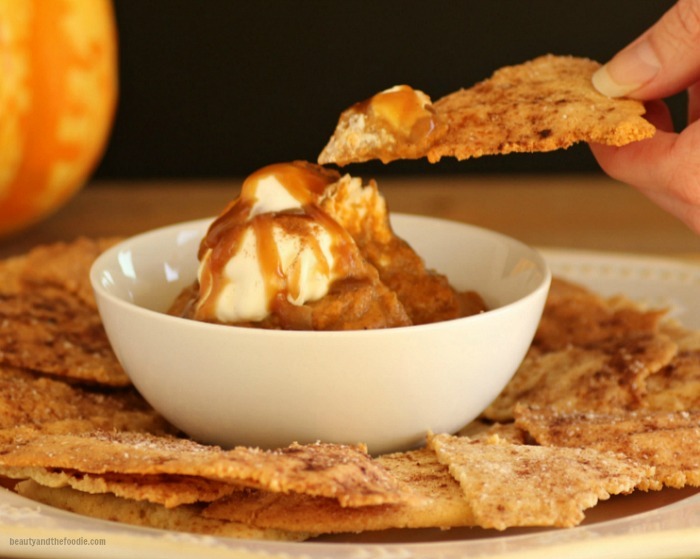 A grain free pumpkin pie dessert dip with cinnamon pie crust chips and caramel sauce. 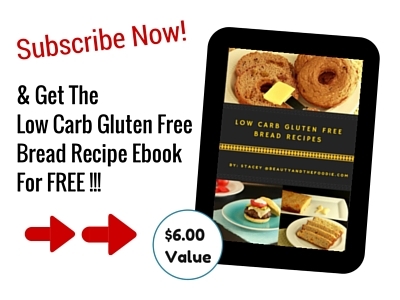 2 tbsp sweetener of choice: coconut sugar for paleo or for low carb use erythritol like Swerve. 2 tbsp whipped cream or coconut cream optionally sweetened with a couple drops honey or liquid stevia to taste. Preheat oven to 350° F, and line a baking sheet with parchment paper. In a large mixing bowl combine: 1 cup and two tbsp. 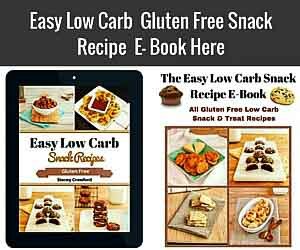 almond flour, 1 egg, ¼ cup melted butter or coconut oil, 1 ½ tbsp. granular sweetener of choice. Mix thoroughly together to form dough. Spoon dough onto a large piece of parchment paper and put 2nd piece of parchment on top of dough, *see photo above. 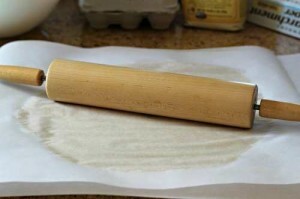 Press dough flat between the papers and roll with rolling pin or use hands to press and spread out dough. Making sure not to roll out dough too thin. Once dough is spread out, pull top parchment paper off, and place bottom paper with dough onto baking sheet. Use a knife or pizza cutter to cut pie crust into shapes (square, or triangle shapes work well), see photo*. In a small bowl combine: 1 ½ tbsp granular sweetener of choice, and ½ tsp cinnamon. Mix together thoroughly. Sprinkle cinnamon and sweetener mixture over the top of the pie crust chips. Bake for 12 minutes or until chips start browning at edges. Remove from oven and cool. In a medium bowl combine all the pumpkin pie dip ingredients. Mix together or whisk together thoroughly. Set aside. In a small sauce pan over medium heat combine all the caramel sauce ingredients except for the vanilla extract (it is added later). Melt and combine ingredients in sauce pan. Once all is combined and melted, bring to a boil on medium for 2 minutes and the then remove from heat. Let sauce cool for a couple minutes and then add the vanilla extract and mix it in. Let sauce cool and thicken for a few minutes. Place pumpkin dip in a serving bowl on a large platter. 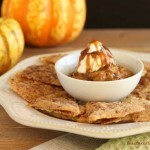 Drizzle pumpkin dip with caramel sauce. Top with whipped cream or coconut cream. 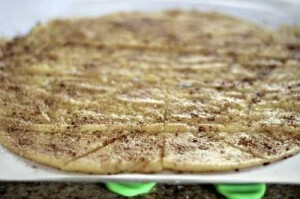 Place cinnamon pie crust chips on the platter surrounding the dip. Serve and enjoy dipping. I have never made this side dish for sure, but I cannot wait until I do. What a fun side idea. I think these nachos will be a conversation starter. Love it!!!!! What a fun recipe. My kids would love this. Thank you, Anya. My kids enjoyed this very much! Love the innovative way to Nachos. I also have a Halloween party and want to bring this. I think It’ll be a hit. Thanks for sharing your creation– very well crafted and healthy. Love it! This looks heavenly! I love all the pumpkin spice things so I would gobble this up all by myself. Most dessert dips are super duper sweet but I love that yours is more balanced. These look delicious! The perfect treat for this time of the year. I LOVE that pie crust is the chips! Yummy and so much fun! I love social eating like this, and it’s often yummier! Wow, what a fun recipe! I cannot wait to try this out. I love pumpkin desserts and this is so creative! You are the queen of making healthy food looks so fabulous! Gotta make this one too! This is so fun! 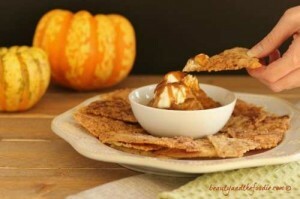 I love this pumpkin pie chips – such a cool idea! I bet my family would think this is such a fun treat. Can’t wait to share it with them. What a unique dessert! That caramel sauce looks incredible! It is a fun one for a party. Thank you for sharing Shirley 🙂 You’re the best! Hi, I just love your recipes! 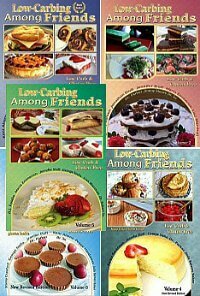 and I hope in the future you will have a chocolate or any other flavor low carb turnover recipe and a low carb strudel recipe. Are the nutrition counts for the full recipe? If so do you know the count for just the chips? Thanks so much for the wonderful recipe!! Donna, the data is for the whole recipe, but I most likely have nutritional info for the chips only somewhere on my computer. I will try to find those and send them to you. All of the ingredients were things i already had on hand. Ive been saving the pumpkin puree that i bought a couple of months ago for a recipe like this. Hit it on the nail! Super easy and was sooo good, the closest thing to a pumpkin pie taste that ive had in a long time. I used powdered Swerve for the sweetener and heavy cream for the dip instead of coconut milk. I did not make the caramel but that was in part to the fact that it was late at night and i was getting tired. I will definitely make this recipe again and will add the caramel topping next time! Cant wait! Thanks! Yum, I would love to try these! 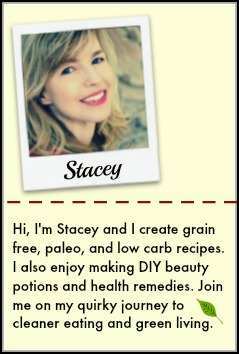 I would also like to feature this recipe, please let me know if you get a link back to Allergy Free Wednesdays in your post so that I can! Thank you for posting this. I am not one to take food to a Halloween party, but this year it was pass a dish. So, I thought I would make the nachos and see what people would think. Well, the nachos didn’t even last for the first half hour of the party. The nachos were a hit and so was the sauce. Thank you so much for your blog. The nachos and sauce turned out lovely, it was a hit at the party, and I will try more of your recipes in the future. Thank you much :). Thank you for the great feedback, and I’m so happy these were a hit at your party. Your kind words made my day!! 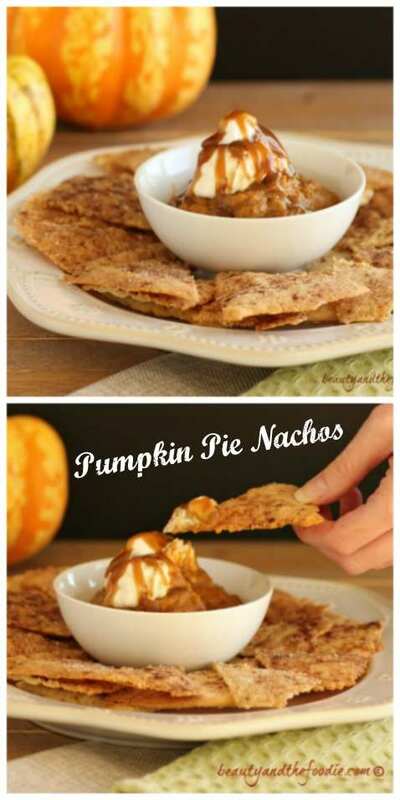 These pumpkin pie nachos look and sound amazing! Love the idea, so unique, but uber tasty!